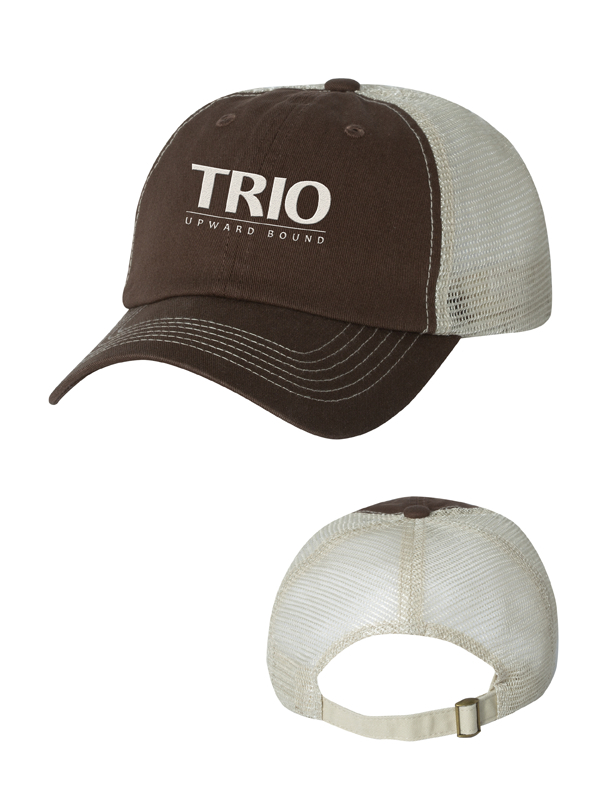 100% cotton bio-washed twill front and 100% washed polyester mesh back six-panel cap. Unstructured and low-profile with sewn eyelets, precurved visor, and matching undervisor. Contrast stitching Adjustable self-fabric back with tri-glide buckle.